With standard radiator systems, you are dependent upon not only a boiler and interlinking of pipes and radiators along the line, but you also run the risk of an inefficient and perhaps even a temperamental heating system. With manifold heating, you can avoid much of the fuss and confusion in the running of your radiators and may even benefit from lower running costs long-term. One of the main problems of a standard radiator circuit is that each unit will warm up in sequence – that means that the first radiator nearest in line will warm up first, followed by the rest down the flow until it reaches the last radiator which typically would be the coldest. This means that all of your radiators operate on one long ‘flow and return’ system which could often mean that one room is left cold until the very last minute. 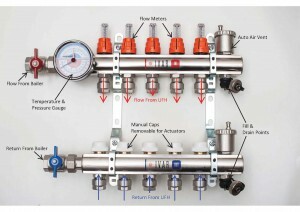 This can be avoided if you balance the system, but this can often be tricky depending on how well the flow and returns are piped. With a manifold radiator system there is no need to balance the system, or to be concerned about certain rooms getting too cold while others boil – as each radiator has it’s own flow and return and wall mounted room thermostat. This means that you will have a balanced and even heating system with throughout your home, and you don’t even need to worry about tinkering with anything specific! 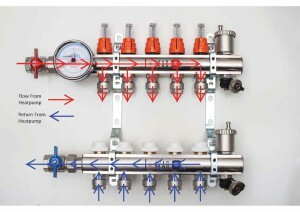 How are Manifold Radiator Systems better than Standard Systems? 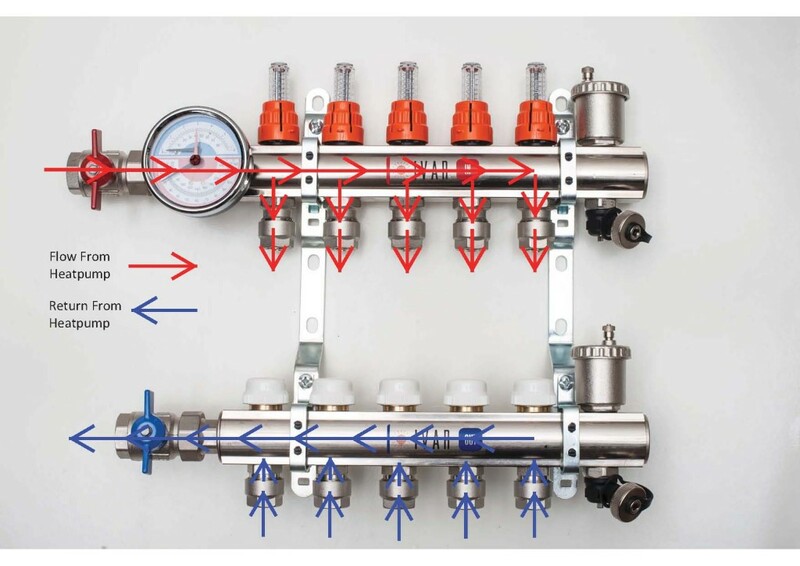 Manifold radiator systems can be considered much more efficient than standard systems as each room can run on their own separate thermostats, each room would be it’s own zone. This means that instead of relying upon thermostatic valves as you would with a regular system, you can efficiently and effectively adjust the temperature of your radiators without having to worry about losing heat in one or more rooms. This is one of the biggest selling points of changing your system and it’s a great way of making sure that your home is warm in the areas you need it the most. Please note that it is important that you keep the radiator’s manifold in a central location at least seven metres away from each radiator – however, if this isn’t possible, an additional circulating pump can be installed. Either way, there are huge benefits to exchanging your radiator system.